Five Nights at Freddy's fans are big on mysteries; they love gathering clues and evidence that might shed some light on an otherwise cryptic horror game. But in the last few days, the fandom's tendency to read too much into things got way out of hand. Some people interpreted these numbers to mean that the next game would finally tackle an incident many of the games refer to as "the bite of 87." Others took the numbers to mean something very different: to them, the 8's and 7's were coordinates. So they plugged the numbers into Google Maps. And what they found was...an actual pizzeria. Mind, when I tried this out earlier in the week, it didn't work for me. Google Maps seemed confused when I tried to plug in a bunch of 8's and 7's. But some people claimed it worked for them, and they linked to a Google Plus page belonging to a Virginian pizzeria. Some fans latched on to this, assuming that it was all an elaborate plan by Scott Cawthon, the creator of Five Nights at Freddy's. Surely, these people assumed, the connections being made here meant something. Surely they were clues that might tell them a bit about what they could expect in Five Nights at Freddy's 4. So these people started calling the pizzeria in mass numbers. Thing is, the pizzeria had nothing to do with Five Nights at Freddy's. They're just a pizzeria in Virginia that sells very large pizzas. Suddenly, though, they were getting bombarded by who knows how many kids asking about a killer animatronic bear. Things got so bad that not only did Scott Cawthon get rid of the 8's and 7's on his website, his first and only Reddit comment is one where he begs people to stop bothering the pizzeria. "The number sequence was a coincidence, nothing more," Cawthon wrote. "I've said this before; there are NO phone numbers associated with this game. Please do not try to call phone numbers that you think you have found hidden; you will only call businesses and homes that have no idea what you're talking about. Thanks." The employees told me they're pissed because little kids and crazy theorists like you guys keep calling them asking about Freddy. And moderators are taking care to delete posts that talk about the pizzeria, as well as issuing bans to people who make posts about it. Other places around the web, like YouTube and Tumblr, don't have this sort of iron-clad moderation — which means that people will likely keep calling the pizzeria for a while before this all blows over. Bummer! I tried calling the pizzeria to ask them about the situation, but they declined comment. Understandably so: they're probably tired of being bugged by a bunch of people that aren't ordering pizzas. That said, it's worth noting that Family Pizzeria is far from the only real-life pizza place that people have populated with references to Five Nights at Freddy's in online reviews. It's become a sport for some obsessive Five Nights fans to find little pizzerias that nobody has heard about. They then try to convince other people that these places are connected to the games somehow. It's never true. Cawthon has to remind fans repeatedly that though they may think they have found a connection to a real life location/phone number/address, it's not intentional — so please don't bother the poor owners of actual pizza establishments! Corrections 4/29 7:30 PM : we misidentified member SSB4Decoder as a mod. This person is actually a mod of r/fivenightsatfangames, not r/fivenightsatfreddys. We also reworded something to clarify that this was Cawthon's first ever Reddit post, and not a new account, as we initially suggested. THIS is today's generation,people are killing their friends for slenderman and now they're going to murder people and stuff them in suits,THIS is our generation. This is why we are a hundred years in the past right now. 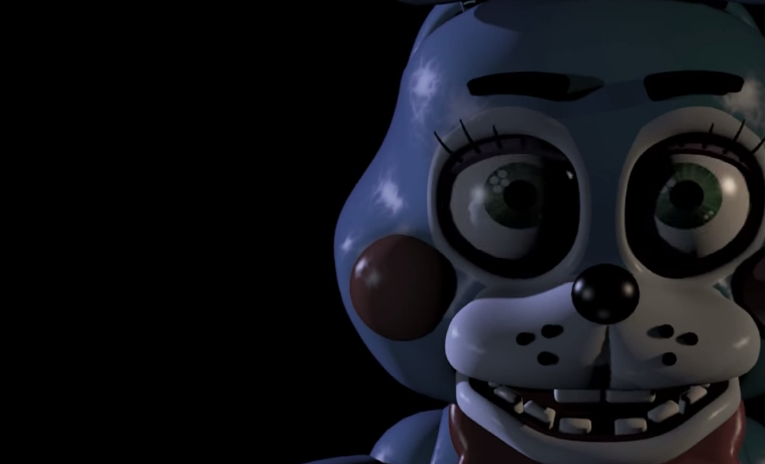 "FNAF HAS A GOOD STORYLINE FGGGGGT!" ...But there is no storyline. The game is just a repetitive mess, ripped apart by an awful, immature fanbase. Seriously, it makes the MLP and the Sonic fandom seem sane.